Salt Lake Indoor Carpet, Bargain Indoor Carpet SLC and Utah. Utah’s leading discount floor covering warehouse, based in South Salt Lake City, The Carpet Barn a fully stocked 20,000 square foot warehouse filled with thousands of yards of indoor and outdoor carpet and flooring – all at bargain prices! Whether you’re looking for deep plush for the bedroom, something contemporary for the family room, a distinguished classic style for the dining room or yards of neutral carpet for a large complex or corporate facility, we have the styles, colors and quality sure to fit your needs. 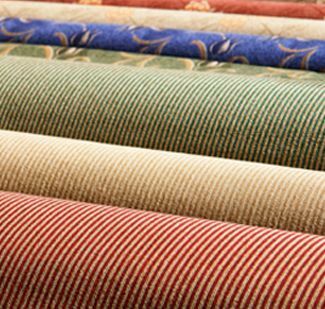 We know it’s difficult to determine how carpet will look in your home or business based on a small carpet sample. That’s why we offer a huge warehouse full of in-stock carpet in our Salt Lake City location. You can pick from hundreds of choices and we’ll gladly roll the flooring out so you can see the full pattern and feel more than a small sample of its texture and quality. With our on-site inventory you can take your flooring with you on the same day as it’s purchased or set up an installation date with any one of our referred installers. Usually we buy hundreds of yards of one color or style at a time enabling you to carpet your whole house with the same carpet. We save you money by buying discontinued styles and/or cosmetic imperfections therefore we don’t special order, so when a particular style/color is selling out, we won’t be able to find it again.